The Best Knoxville Blogs from thousands of Knoxville blogs in our index using search and social metrics. We’ve carefully selected these websites because they are actively working to educate, inspire, and empower their readers with frequent updates and high-quality information. Knoxville, TN About Blog Voted #1 Magazine in East Tennessee, Cityview magazine is Knoxville's premier local, independently-owned lifestyle magazine. Since 1983, we've been bringing you stories, photos, and columns about East Tennessee's people, places, and businesses—plus arts and culture, sports, politics, dining, humor, and a whole lot more. Facebook fans 6,040. Twitter followers 8,555. Knoxville, TN About Blog Get the insider scoop on what's happening in Knoxville by reading our blog. Stay up to date with the latest events and local attractions. Facebook fans 114,538. Twitter followers 33,245. Knoxville, Tennessee About Blog City of Knoxville web source for local government, services, news and upcoming special events. Facebook fans 12,010. Twitter followers 19,744. Knoxville TN About Blog Get out and Play! Whatever activity you enjoy the most or want to learn — Knoxville is the place for outdoor fun! We're rich in parks, natural areas, blueways and greenways. There are rocks to climb, caves to explore and trails to wander. Something for families, individuals, kids and pets. Facebook fans 8,609. Twitter followers 6,840. Knoxville, TN About Blog At Knoxville Moms Blog we are passionate about parenting, community and the city of Knoxville. We strive to provide moms with relevant, timely and fun information about all things mom here in the Knoxville area. Facebook fans 18,442. Twitter followers 3,113. Facebook fans 1,187,222. Twitter followers 556,723. Knoxville, TN About Blog The Knoxville music scene's best blog. Find out about live music concerts in Knoxville, local bands, and big names coming in. Facebook fans 3,610. Twitter followers 7,287. Knoxville About Blog A Community Newspaper Serving Knoxville, and Knox County, Tennessee. The Knoxville Focus is dedicated to bringing you great, uplifting community news. Facebook fans 1,109. Twitter followers 214. Knoxville, TN About Blog Coupon Katie strives to teach people how to use coupons effectively to promote, develop, and maintain a frugal lifestyle. Facebook fans 10,281. Twitter followers 4,787. Knoxville, TN About Blog It's an organization most people don't know, but it's helping make Knoxville and its citizens reach their potential. Facebook fans 14,278. Twitter followers 2,769. Alcoa, TN About Blog KnoxViews is a progressive, community driven citizen media site for residents of Knoxville and surrounding communities to report and discuss local, regional and state news about government and politics, current events and culture. Facebook fans n/a. Twitter followers 3,742. Knoxville, TN About Blog Moxley Carmichael is East Tennessee's premier public and media relations firm, providing comprehensive communications services to local, regional and national companies headquartered in this region. Facebook fans 2,724. Twitter followers 4,689. Knoxville, TN About Blog The mission of the Knoxville Symphony Orchestra is to develop and sustain a symphony orchestra of the highest artistic standards and to reach East Tennessee audiences of all ages by providing excellence in musical performance and education programs. Facebook fans 5,433. Twitter followers 4,575. Knoxville, TN About Blog Amanda May Photography is about providing a great service that will capture memories for a very reasonable price and give you a great quality. Facebook fans 3,652. Twitter followers 157. Knoxville, TN About Blog Saddlebrook is the most recognized Knoxville home builder with maintenance free communities, available lots, new quick delivery homes in the Knoxville and Surrounding areas. Facebook fans 1,047. Twitter followers 217. Knoxville About Blog If you Live in Knoxville and you want to get Leaner, Stronger, Fitter and Faster you have found the right place. From Nutritional Advice to Workout Programming we have it all. All you have to do is show up with a "DO-WORK" Attitude and take what's rightfully yours. Strength, Speed, Agility, Explosiveness, and a Great Body. Facebook fans 2,640. Twitter followers n/a. Knoxville, Tennessee About Blog Everything Knoxville is Knoxville's most widely distributed magazine by mail which caters to Knoxville's small business community. Facebook fans 964. Twitter followers 319. Knoxville About Blog Inspired by community, West Knoxville Lifestyle is an upscale monthly publication created exclusively for and about the residents of this area. Knoxville, TN About Blog What you will see in this blog is a one woman’s passion for our city of Knoxville. I will show you how it is the best place to live, vacation, and to be a part of. You’ll read some sassiness and I will try to be as non partisan as I can be about local government. Facebook fans 528. Twitter followers 814. Knoxville, Tenneseee About Blog Knoxville Real Estate with Rick Smenner. Rick is a licensed Real Estate Broker with RE/MAX Preferred Properties. He has been in the real estate business for 33 years. Maryville, TN About Blog Magnolia and Ember is a Knoxville wedding photographer specializing in adventurous weddings and National Park elopements. Traveling worldwide for wild couples who love from the soul. 8085 Kingston Pike, Knoxville About Blog Real Estate News and Video About Knoxville Tennessee. Ferguson Realtors is one of the oldest companies in East Tennessee, dating to 1931. Facebook fans 414. Twitter followers 193. Facebook fans 264. Twitter followers 95. Knoxville, TN About Blog Our Family Law blog contains news and commentary relevant to Knoxville, Tennessee residents. Facebook fans 54. Twitter followers 16. Knoxville About Blog Our Knoxville, Tennessee blog offers news and insight on issues of Personal Injury. 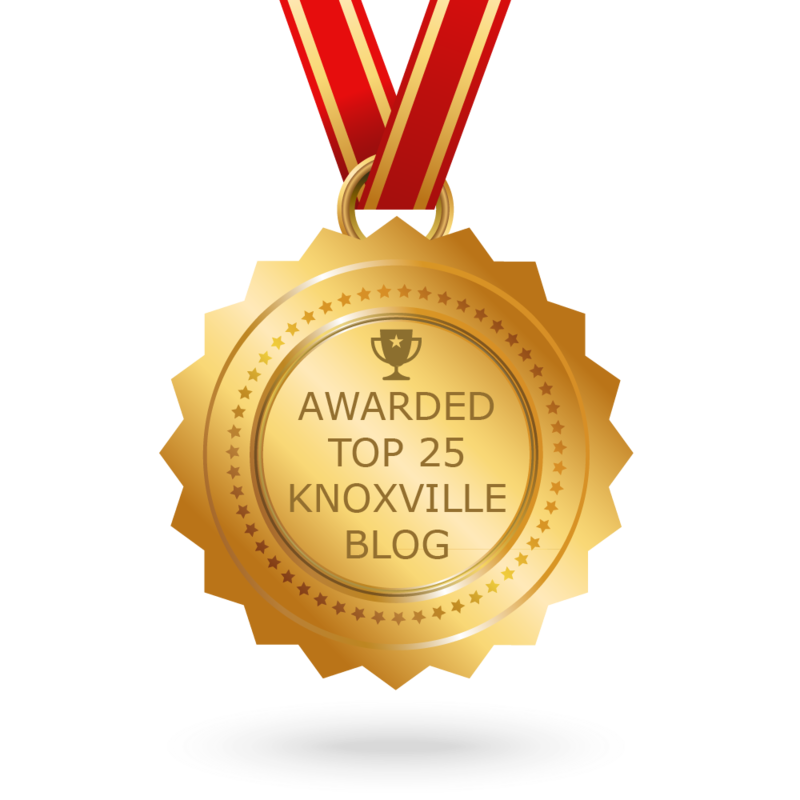 CONGRATULATIONS to every blogger that has made this Top Knoxville Blogs list! This is the most comprehensive list of best Knoxville blogs on the internet and I’m honoured to have you as part of this! I personally give you a high-five and want to thank you for your contribution to this world.